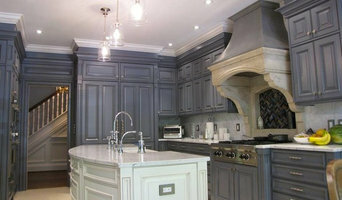 KIWW is a custom design residential and commercial cabinetry and millwork company, with over 35 years of experience. K International woodworking is dedicated to providing our customers with superior services and high quality craftsmanship at competitive prices. Our extensive experience in the millwork industry enables us to utilize every space in any residential or commercial space. We welcome challenging designs and ideas and are able to incorporate various materials in the millwork. K International Woodworking LLC is capable of marquetry, inlay, and fine detail work creating the upmost quality, no matter how simple or complex a project design is. K International Woodworking LLC is committed to providing friendly and attentive customer service from start to finish, including AutoCad drawings, design consultation, and product manufacture and installation. 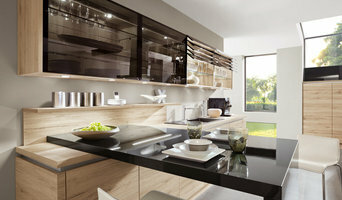 Residential cabinetry specializing in kitchen design. We have a 25,000 manufacturing facility in Malden capable of customizing any part of your project for a unique look. We feature six cabinet lines ranging from builder's grade to full custom to fit every budget and customer need. Proud dealers of Legacy/Debut, Kemper, Decora, Merillat, Showplace and Ultracraft cabinetry. Custom Carpenter offering the finest quality and service in finish carpentry. Specializing in interior trim work, decorative moldings, fireplace mantles, custom cabinets, built-ins, entertainment centers and more! BEST OF HOUZZ 2015, 2016 & 2018 - Customized Kitchen & Bath Solutions Michael James Design, Inc. was created by a husband and wife design team with a passion for creativity. With our design experience, we bring a uniqueness to our projects as we offer both a male and female point of view as well as a husband and wife perspective. Michael James Design, Inc. does more than kitchen and bath design. We create spaces that enhance the way you live. By exploring your wants, needs and living habits, we gain a thorough understanding of how to best design a space with the proper flow, proportions and focus. We take into consideration the existing architectural styles and details, the natural and artificial light, the views and of course, your individual taste. It is our attention to all of these details that helps to set us apart from other kitchen and bath designers. From new construction to home renovations – contemporary to traditional – you, our customer, are squarely at the center of our design process and this enables us to create the kitchen and bath experiences you've only imagined! We are builders and designers of high end custom cabinetry for the seacoast area of New Hampshire and Maine. Using top quality materials and the highest standards of craftsmanship, our four man shop creates the finest woodworking and cabinets in the area. With over 25 years of experience in the construction industry, we can offer design, planning, and contracting services for any aspect of your building project. Our prices are competitive with many area kitchen centers, and you will get a better quality, more fully integrated product for your home. Give us a call or email us for a free design consultation and estimate! American Pride Woodworking is dedicated to bringing the integrity back to the label "American Made" with quality craftsmanship and strong community involvement. We provide all services needed to complete your dream kitchen renovation from planning, designing, materials and installation. I am an experienced kitchen and bath cabinetry-focused designer with Carole Kitchen and Bath Design, which is located in Woburn, MA. I work with both homeowners and builders/contractors to create individualized kitchen designs requiring new cabinetry and countertops. I combine my extensive design experience, access to a uniquely broad range of cabinetry selections, and excellent service backed by the best service and operations team at Carole Kitchen and Bath to get you terrific project results. Contact me at amanda@kitchenpeople.com to reserve a COMPLIMENTARY CONSULTATION at our showroom. I'd love to speak with you about your project goals. WHO ARE MY CLIENTS? 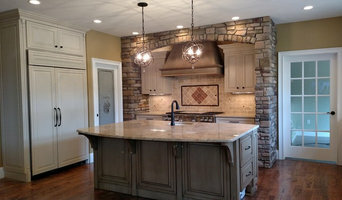 My clients include people who are: - undertaking a simple kitchen remodel within the same footprint - doing a larger remodel, moving walls and plumbing or building an addition - building a new-construction home Often, builders and remodelers send their clients to me to design their kitchen and make cabinetry and countertop selections for the new kitchen space. I am also pleased to work with the contractor of your choice. I also help people with projects in rooms other than the kitchen which also utilize cabinetry, including bathrooms, entertainment spaces, laundry areas, and home offices. 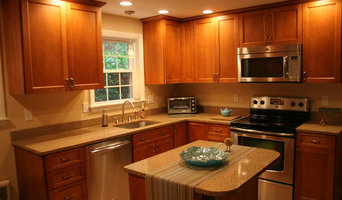 NH Woodworks specializes in quality custom cabinetry designed and built for your home. We provide custom kitchen cabinets ready for pickup in just 5 business days. Small kitchens typically cost $2800-$3500. HILIQUO, short for Home Improvement Liquidation Outlet, is a family owned business and one of the nation’s top liquidators in the building materials industry. Our goal as a company is to provide top quality home improvement goods at the lowest possible pricing. All the products we offer are first quality and purchased in quantities of multiple truckloads at pennies on the dollar, far below typical distributor costs. We’ve been in business since 1989 and for many years our company has enjoyed a well-earned reputation as the nation’s leading liquidator in many home improvement categories. Over our 28 years in the industry, we’ve liquidated top quality products for many major manufacturers including American Standard, Trex, LP Building Products, and more. Check out the gallery to see more of the companies we’ve worked with! Traditionally, we’ve sold our products to discount home centers across the nation. Now we’re introducing this new website for homeowners and contractors across the country to take advantage of the amazing savings that we experience. All of our goods are owned by us and stored at our warehouse in Auburn, MA, where we have over 100,00 square feet of space. We’ve already sold over 3,000 jobs to satisfied customers since we opened our retail department two years ago, and we sincerely look forward to adding you to that list.